/ Modified dec 21, 2018 2:31 p.m. The previously undiscovered species is similar to a triceratops. A restoration of Crittendenceratops krzyzanowskii, a new dinosaur species discovered south of Tucson, by Sergey Krasovskiy. Scientists have identified a new dinosaur species that so far has been found only in southern Arizona. Researchers from the New Mexico Museum of Natural history say they identified the species from two fossils discovered in Adobe Canyon, south of Tucson. The species has been named Crittendenceratops krzyzanowskii, in honor of the amateur paleontologist who discovered it about 20 years ago, Stan Krzyzanowski. 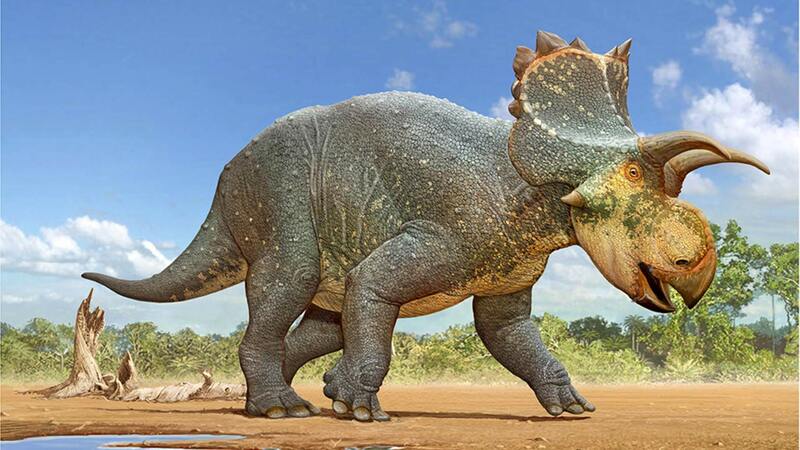 They believe the dinosaur resembled the famous Triceratops, but with only one horn emerging from its bony skull, instead of the three horns that gave triceratops its name. It was also smaller. Triceratops was roughly the size of a modern-day rhinoceros, while its newly discovered relative is closer in size to a present-day bear. The fossils were found in rocks deposited along the margins of a large lake that was present southeast of Tucson during the Late Cretaceous period, about 73 million years ago.